Most newbies have problems starting a blog due to lack of knowledge and one of the most common question is "how to change template of a blog"? This question will determine how far the blog can go with design. We have to understand that it is extremely important to make sure that the design of a certain blog is presentable. This is not for the sake of beautifying the blog cause it has no bearing after all in terms of ranking but for the sake of the readers who are looking forward to read more articles that they do not need to exert efforts in reading the contents because of poor templates. There are thousands of free templates that has been shared on blogsphere, but the question is how will you change your current or default template with the one that you get from other sites? 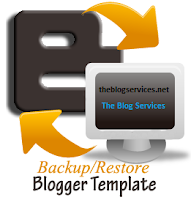 The second question will arise upon reading the instructions on changing templates is how will you make a backup of your current template? In this tutorial, I will answer the two questions above. Next level is the Navigation bar of your blogs, create a simple drop down menu here. First download your new blogger template to your computer. If the template is contained in a zip file, ensure you have extracted the XML template. 1. Login to your Blogger Account. 2. Click on your blog name. 4. 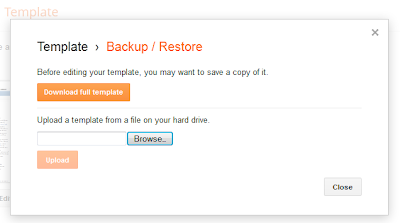 Click on "Backup / Restore" button. "Backup / Restore" window will appear. 5. Browse your template file (XML file) and click open. 6. Finally click on "Upload" button. Go to "Layout" to rearrange your widgets positions correctly. 5. Save wherever you want.